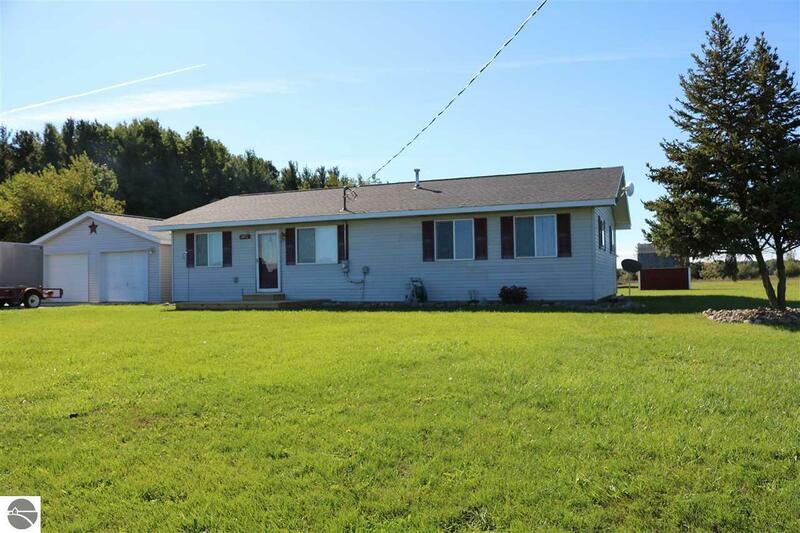 This 3 bed/1.5 bath updated family home has an attached garage, 5 acres, and a pole barn! Lots of updates including an amazing kitchen complete with gorgeous cabinets, an island, and stainless appliances ready for upcoming holiday baking. Both bathrooms have also been recently updated. Pole barn has a concrete floor and waiting for you to choose how you want to finish it. Enjoy fall bonfires in the back yard while watching the deer & turkeys run around. You will love creating memories and the peace & quiet!